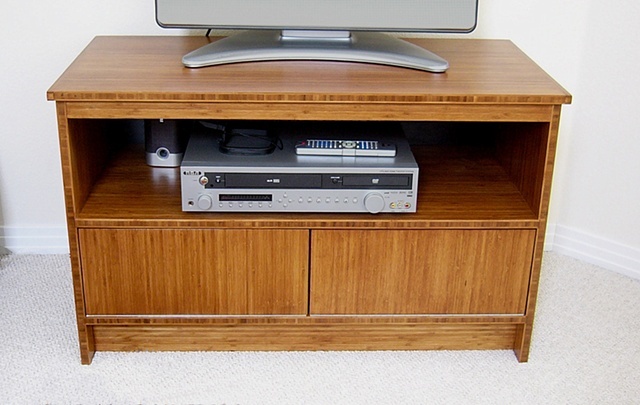 Bamboo plywood TV cabinet made with Plyboo bamboo plywood. Two front door panels mounted on piano hinges drop down to reveal storage below. It also has an open shelf for exposed electronics. The bamboo ply has a light stain applied and a urethane topcoat. This was a custom commission.